Everything you and your mum need to know about the new distributed currency and the decentralised information revolution – how and why to get onboard, in a nutshell. Bitcoin was born out of an extraordinary innovation to resolve the loss of faith in, and the failings of central banks, sovereign states and governments, after the economic collapse of 2008 in particular. It does this in a way that has sparked a surge of innovation in the way information is stored and exchanged across the world wide web. Bitcoin itself is an open accounting system allowing any number of users around the world to track ownership of digital tokens. All transactions are logged in a public ledger called the “blockchain”. This growing chain of data blocks records every Bitcoin transaction since the launch of the system and every user has access to a copy of these transactions. Bitcoin therefore creates transparency and accountability. Because you own it, not the government, who owns all fiat currencies. We are living in a time where the distrust of governments and nation-states is a survival necessity in increasing numbers of countries. Using Bitcoin, you own your assets in absolute terms. Unlike PayPal or a bank, no one is able to freeze your account for any reason. You don’t need to trust anyone else to handle your assets – no payment processor, merchant or credit card. These properties are valuable, and Bitcoin’s price today, in spite of nascent volatility, shows how well they are working. Unlike the (oil drenched) almighty dollar, the value of Bitcoin, along with the network itself, is not controlled by any government. The rate of inflation is fixed in code and can’t be changed. The government can print more money to compensate for it’s spending, thereby devaluing your pay cheque or savings. The fundamentals of the peer to peer blockchain technology at the heart of Bitcoin are based on military grade cryptography and have been well tested. The Bitcoin network has developed ever increasing resilience after nearly a decade of attempts to attack it, alongside massive open source development. The Bitcoin network has demonstrated that it is over 18 billion dollars secure at time of writing, and the market capitalisation continues to grow. 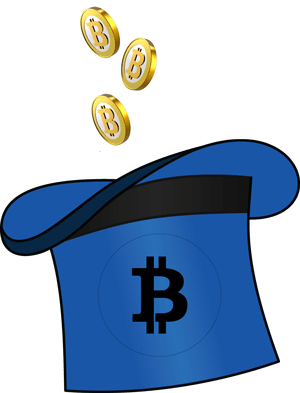 Once you purchase or send any amount of bitcoin to anyone, that transaction is visible and verifiable on the blockchain forever. The blockchain is immutable and can not be edited by any party. These qualities, amongst others, make Bitcoin transactions many times more secure than using a credit or debit card. Note that the Bitcoin network itself is solid – however, the point of entry or exchange, like any transaction that transfers value of any sort anywhere, remains vulnerable to exploitation. The usual caveats apply. 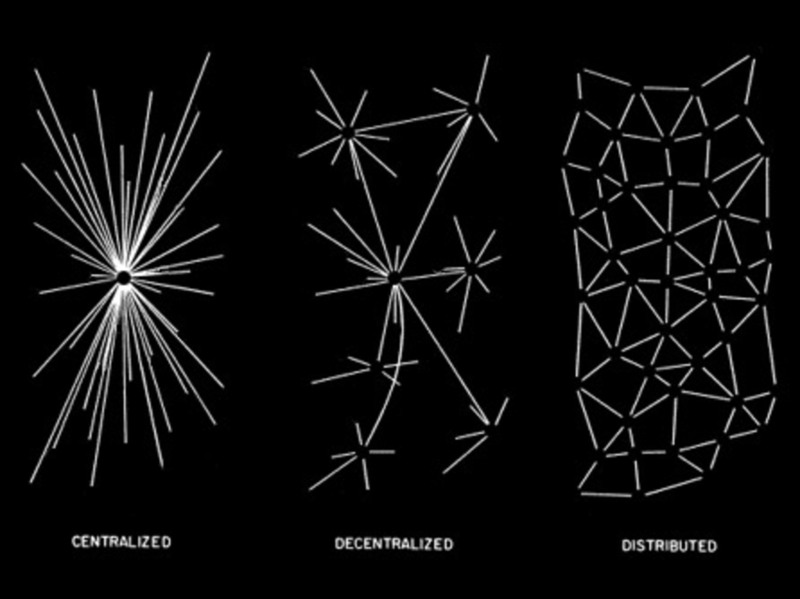 Blockchain technology is turning top-down hierarchical power structures on their side by using distributed peer to peer, or person to person digital innovation. In traditional, centralised server-client hierarchy, the user remains subject to the demands and stipulations of central controlling authorities, corporations and service providers. Any service built on a blockchain however, whether currency, social media, or any web based service, contract or application, is controlled by you. Basically, your value – in terms of wealth, resources, knowledge, attention, social media profiles… no longer needs to be stored, controlled or manipulated by any external authority or corporation – no centralised bank, censoring or marketing driven body. Instead, your inputs and contributions to society remain yours and are distributed across a living global network instantaneously in these transparent secure ledger systems called blockchains. 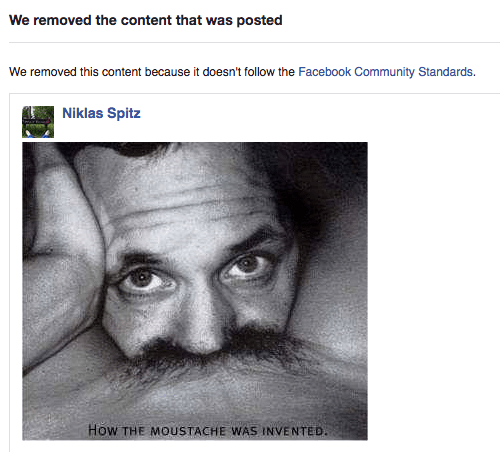 “How the Moustache was Invented” Censorship? OK, fine – not everyone may appreciate or like my sense of humour, but you don’t have to be my “friend.”I prefer not to be censored by FB puritans on my own pages! So this means a transaction, contract, or social media post I create and make public (for better or worse) is distributed everywhere at once and can not be censored by any third party. Here’s the thing – my bank pays me something like 0.001% to keep my money for me, subjects me to endless inconveniences, restrictions, delays and charges, then turns around and charges the person in line behind me 25.999% interest on my money which the bank is lending them. It is investing the rest of my savings (such as they may be) in weapons (and arms proliferation), fossil fuels, tobacco and alcohol industries, and other old world power structures I do not wish to support. By withdrawing our resources, we are no longer complicit in wars for oil, tantalum, or territory! Bitcoin is a global currency that transcends sovereign states and borders! I can buy, sell or transfer effective cryptocurrencies in any amount (micro or macro sums) for an ever expanding number of goods and services for a negligible operational fee, without being encumbered by any third party. These transactions are propagated transparently and securely across an unstoppable distributed network instantly. This burgeoning distributed blockchain revolution represents the greatest evolution in global society since the internet heralded and changed everything about the post-industrial information age. Distributed blockchain technology is not going away. Though in it’s relatively early stages, it has made a solid entry on the world stage. Banks, governments and other corporations are beginning to understand the relevance of, and therefore to take seriously and adopt blockchain technologies for their own infrastructure implementations, as their significance, presence and permanence becomes apparent. It is an irrefutably smart technology. Institutional adoption of blockchain and cryptocurrency technologies will not usurp the control that these technologies afford the individual however, because Bitcoin as a fundamental technology is already out the bag as a discrete entity. By technological definition, it is decentralised and user controlled. There are issues during the early stages of this evolutionary process of course, and the traditional gatekeepers hold sway, but it is up to us to dictate our own values by using these “disruptive” technologies for our own needs and interests. Bitcoin is not alone. There are a plethora of alternative cryptocurrencies, each serving a particular need or function in the varied marketplaces of society, and each has their own value. But bitcoin, as the main-stage example, is the 1st ever global currency not controlled by government or bank. It can not be counterfeited or stolen. By design and utility – secure, versatile, accessible, wide adoption, limited supply – it can only increase in value over time, regardless of day to day price fluctuation. Whilst blockchain technology and cryptocurrencies remain relatively new and volatile – the trend is clearly forward and upward. They may not be quite ready for mainstream plug and play adoption, but we would all do well to get on board early. They are growing extremely rapidly because they represent solid and meaningful technologies which solve many of the problems of access and distribution across all political and economic boundaries and strata of society. So how do I get my 1st bitcoin? 1) An account at a centralised exchange is perhaps still the easiest entry point. Not as painful as setting up an online bank account, but does requires uploading ID / verification. There are numerous exchanges you can explore, but Coinbase (referal link) has worked well for me. You can also ask anyone you know who has bitcoin to do a trade with/for you. 2) A digital wallet. There are numerous you can explore, but I can recommend Exodus for desktop use. You can use your exchange to store your Bitcoin for small amounts, but it’s a good idea to get your own wallet which will generate your own Bitcoin address to which you can send and receive your BTC directly. How do I spend it? You will find increasing numbers of service providers and retailers which accept Bitcoin. You can also send Bitcoin in any small or large amount across the web instantly to anyone else with a Bitcoin address anywhere in the world, so spread the word! Nevertheless, there are more liquid cryptocurrencies than bitcoin for you to explore as you familiarise yourself with the field. It’s purpose is to offer an accessible introduction to a large and bewildering area of information technology – it is basic in its intent, which is primarily an orientation and entry point. So hop in, the water is fine! The Cryptoversity (referal link – use additional discount coupon code 10offspecial) is the place I have learnt most though. 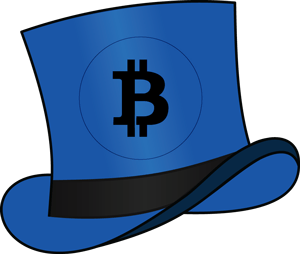 Great place to learn all about cryptocurrencies at large, with podcasts, videos and catch-up-to-speed introductory courses. The Blockchain And Us – low budget, but clear voiced documentary providing an overview of the implications of the blockchain. Your search engine is your friend – dive deep! This website is an advertising free zone!